Lara scales a cliff overlooking the Prophet’s Tomb in Syria. Lara dispatches two Trinity soldiers with a well-aimed round at an oil barrel. 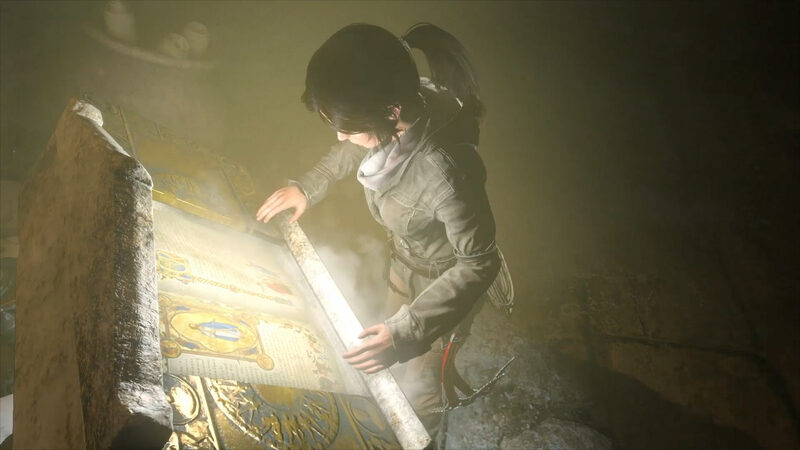 Lara face-to-face with her father’s portrait in Croft Manor. Lara falls foul of Siberia’s grizzliest menace. 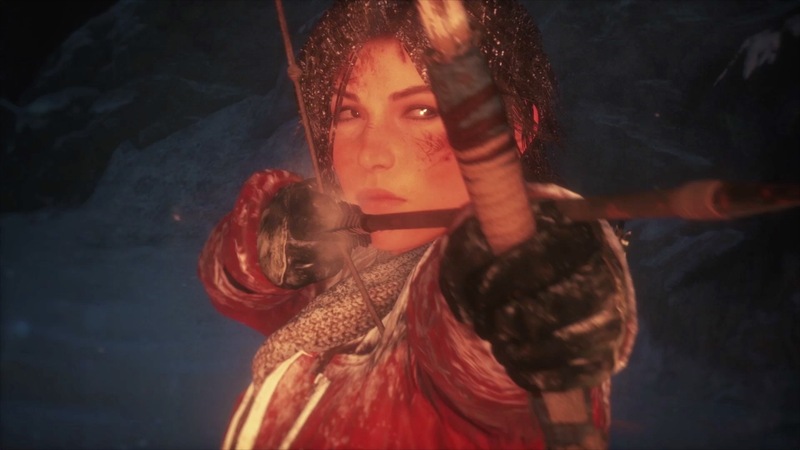 Prepared for hostilities, Lara readies her Compound Bow. Lara performs a stealthy takedown of a Trinity soldier. Poised to strike, Lara gets a hawk’s-eye view of a patrolling soldier. Lara uses her Grapple Axe to escape the devastation in the Flooded Archives.